Last month the Northwestern University in the USA published a national survey entitled Parenting in the Age of Digital Technology. The report is available for free download through the Parenting CC Portal , but here I would like to take a quick look at some of the findings and questions raised and see if we can provoke some debate. The study explores how parents are incorporating new digital technologies (iPads, smartphones) as well as older media platforms (TV, video games, and computers) into their family lives and parenting practices, and it gives an idea of how parents use and view this technology. We should point out that this is a US based survey. 1 While new media technologies have become widespread, a majority of parents do not think they have made parenting any easier. 2 Parents use media and technology as a tool for managing daily life, but books, toys, and other activities are used more often. 3 Parents still turn to family and friends for parenting advice far more often than to new media sources like websites, blogs, and social networks. 4 Parents do not report having many family conflicts or concerns about their children’s media use. 5 There is still a big gap between higher- and lower- income families in terms of access to new mobile devices. 6 Parents are less likely to turn to media or technology as an educational tool for their children than to other activities. 7 Parents assess video games more negatively than television, computers, and mobile devices. 8 For each type of technology included in the survey, a majority of parents believe these devices have a negative impact on children’s physical activity, the most substantial negative outcome attributed to technology in this study. 9 Many parents report using media technology with their children, but this “joint media engagement” drops off markedly for children who are six or older. 10 Parents are creating vastly different types of media environments for their children to grow up in, and, not surprisingly, the choices they make are strongly related to their own media use. Some other interesting points arise, such as that 40% of families are described as media heavy and spend more than 11 hours a day in front of the screen. 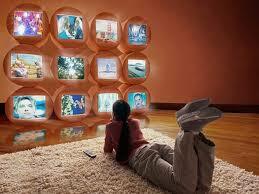 Half of all families surveyed have 3 TV’s or more in the house. 40% of 6 to 8 year olds have a TV in their bedroom. 70% of parents state that having mobile devices has not made parenting easier with 40% stating that they have a negative social skills effect upon the children. The conclusions are in some ways surprising though as the authors demonstrate evidence that parents are still more likely to resort to traditional means of entertainment as rewards and punishment, and they are convinced enough about the educational possibilities offered by so called new media to not worry too much about their negative effects. An interesting read if you have half an hour, but comments and debate about the summary above would also be educational. Batman has appeared in video games for over two decades. The main theme of these games centered on Batman fighting against villains. Several versions were launched over the years, featuring different tasks and characters. Batman comics were the inspiration for these games, which later went on to incorporate features from the films. In 1986, Ocean Software, a Manchester based company developed the first ever Batman game based on the comic book. The batman featured in this version was rather cute and chubby, and wandered around 150 rooms in search of Robin. Two years later, Batman: The Caped Crusader was launched, which was better in terms of digital color and had two campaigns, one with the Penguin and the other with the Joker. These could be played in any ordered decided upon by the player. Even though the launch of this version coincided with the release of Tim Burton’s Batman film, they showed no similarity. In 1989 NES featured the Batman based on the movie. The goal was to reach the big boss, played by the Joker, by tackling smaller bosses that came first. The Batman was purple and was put up against robots and Gotham city thugs. The next year saw the arcade version by Atari and the pinball version by Dataeast. 1992 witnessed ‘Return of the Joker’, which was a sequel to the NES version. This game had improved graphics and funny commentary. Batman Returns launched in 1993 was inspired by Tim Burton’s movie, it even featured the movie soundtrack. This game was more advanced with limited 3D features. Batman had to fight with several thugs, Catwoman and the Penguin to move up the streets. 1994 saw the release of The Adventures of Batman, which was a cartoon version of the game; it was powered by SNES and Genesis and met some criticism. 1996 and 1997 saw the release of Batman Forever by SNES and Genesis and Batman and Robin by PlayStation. Both these games did not have great graphics and met unfavorable reviews. Batman: Gotham City Racer, Batman: Vengeance and other games were released in 2001. The graphics were average, although Batman Vengeance was the better of the two. The games were based on the New Adventures of Batman cartoons. City racer featured the famous Batmobile, while the latter saw batman fighting street thugs in Gotham city yet again. In 2003, Batman: Rise of Sin Tzu was noteworthy, as it introduced a new villain and also highlighted several unlikely characters. Clayface, Bane and Scarecrow were some such characters. Batman Begins (2005) was more realistic than its forerunners. It had superior graphics and the plot followed the Christopher Nolan movie. The voices for the game were given by the cast from the film. Justice League Heroes (2006) featured Batman among other heroes like Superman fighting enemies. The Lego Batman released in 2008 was an upward turn in the series. 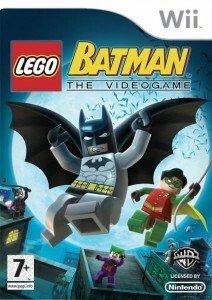 It combined attractive Lego characteristics with Batman characters and made it enjoyable for both serious gamers and casual players. Batman: Arkham Asylum was launched in 2009 was a bench mark for the game. The graphics and settings were exquisite. The eerie atmosphere was lent by the Arkham mansion. This Batman could be controlled in very superior manner and he took on several villains in order to get to the Joker who was at the heart of the plot. If you thought that online gamers were just a load of geeks, incapable of socializing with the outside world, and living within the confines of their own in their bedrooms, you might like to have a look this website called Foldit. 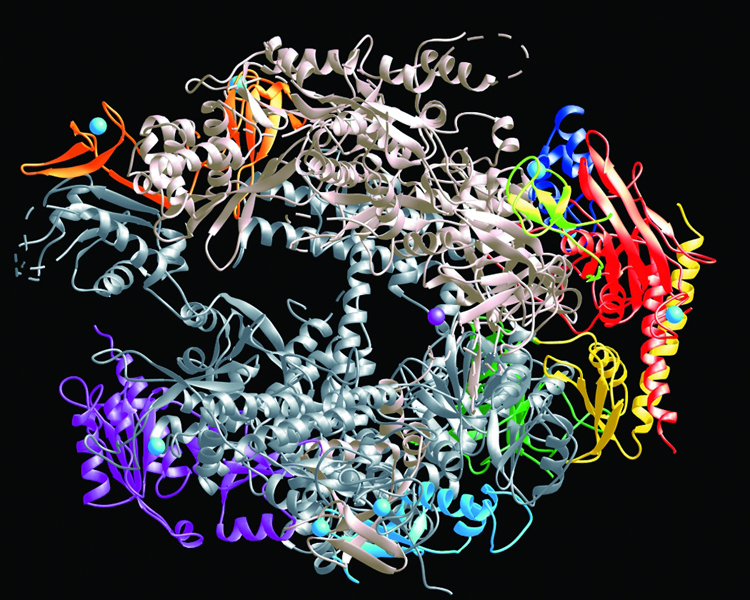 Foldit is a game, but its aim is to solve puzzles for science, and players have recently made some remarkable inroads into the world of protein modelling. Below is a model of an Amino Acid, and it is this type of thing that gamers manipulate. The fold it game has existed for a couple of years now. 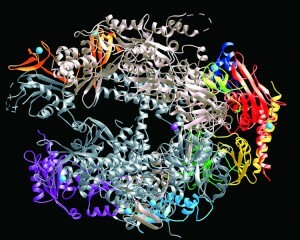 Players create protein structures, with the most stable and low energy structures scoring the most points. The gamers in general are not scientists and they manually manipulate the model from a base form that is provided to them at the start of the operation. They have a variety of tools but the most important thing is that they have better spatial reasoning skills than computers. Computer models had tried to solve the problem cited above for 10 years without success, gamers produced an adequate model that was then refined by scientists in just 3 weeks. We could draw similarities to citizen science, having seen posts on this blog discussing loaning out some of your computer’s spare hard disk space and memory to solve scientific problems, and the now common use of similar set ups in astronomy. Just this week the Astronomy and Telescope journal is entitled Citizen Science, and addresses the issue of amateurs classifying high definition photos of far off galaxies. They say that it is the future of astronomic discovery. See my post on The Bassetti Foundation website for a lay explanation. The gaming process is an interesting innovation though, as it uses skills that may not be particularly associated with science, but reveal themselves to be extremely important. About this time last year, game sites were abuzz with rumours that the next instalment of Rockstar’s immensely successful Grand Theft Auto series was headed toward the west coast of the United States. Another article on everyone’s minds was and still is what time period the next instalment will be set in; since Rockstar has spanned the series across decades. Will the next character be accessing menu options through an altered version of an HTC 4G Android phone similar to the last game, or will we be sent backward in time once again and forced to rely on payphones? As far as the rumours from the summer of 2010, not much has come up to confirm the initial suspicions about an American west coast location. Perhaps Rockstar San Diego was doing some last-minute research for their spring 2011 release L.A. Noire. However, in-depth news on the game had already been released by March of 2010 so it’s doubtful they were doing location scouting after-the-fact. Not to mention, sources confirm that the environment of L.A. Noire, set in 1947, was created with aerial maps from the era. So what’s to know about the next instalment of Grand Theft Auto? We know it’s going to happen soon: Rockstar’s mother-company Take-Two Interactive is expected to sell 18 million copies of the next instalment of GTA. We know it’ll be a cross-platform release like GTA IV. We know it won’t be set in Liberty City, where the historical Grand Theft Auto III was set and where the last one was set as well. The details we want to know remain elusive, but there’s been some interesting tidbits released over the last year. In February of 2011, Rockstar purchased several specific domains which hallmark a previous gag featured in GTA IV wherein the character can visit websites that exists in real life for gamers to visit too. In that same month, a stuntman credited on previous instalments of the series listed “Grand Theft Auto V” on his acting resume, but later changed it, saying the credit was a “typo”. But the big kahuna came later in March when a Take-Two casting call was leaked which included the name of a deviant character by the name of James Pedeaston heard on the radio in GTA IV, as well as another presumed radio personality character named Samantha who “dreams of being a Hollywood celebrity.” This could be interpreted as confirmation of the rumored Hollywood setting. The revelation has been that unless Rockstar is playing games so to speak, which they’re no strangers at doing, the next Grand Theft Auto game will definitely be set in the present day. Other than that, details remain extremely limited. Just count on the fact that the game will be controversial, environmentally jaw-dropping, and sure to make its creators an enormous amount of money at a time when game developers are struggling to pay the bills.